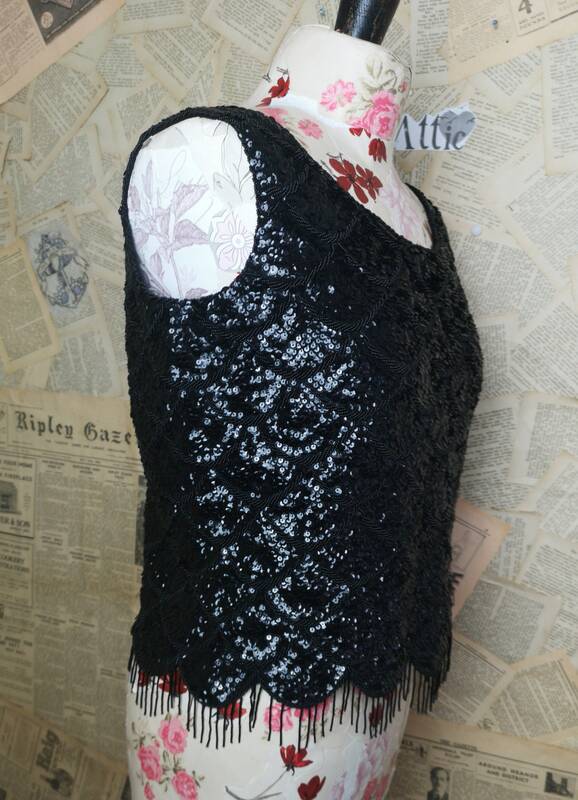 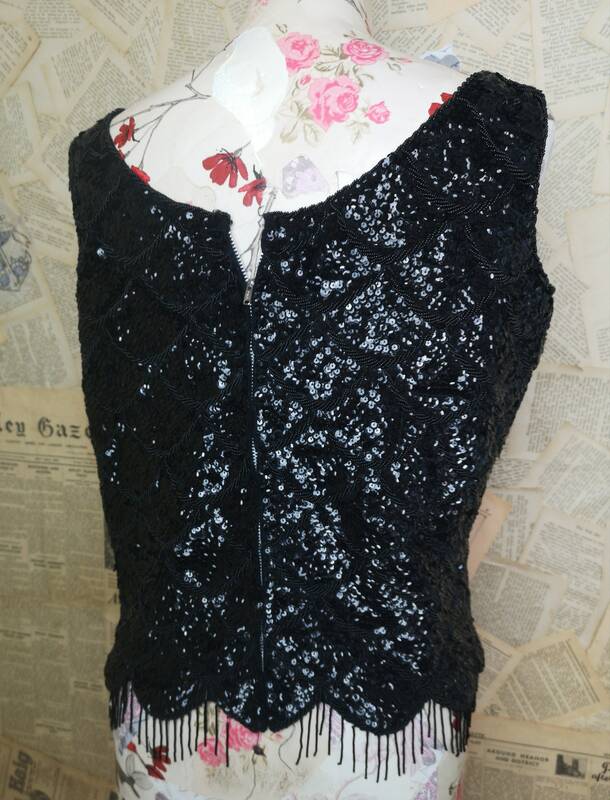 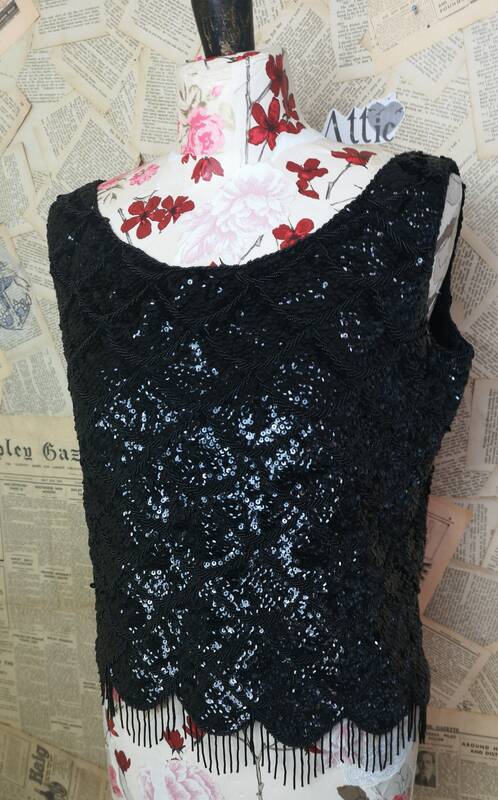 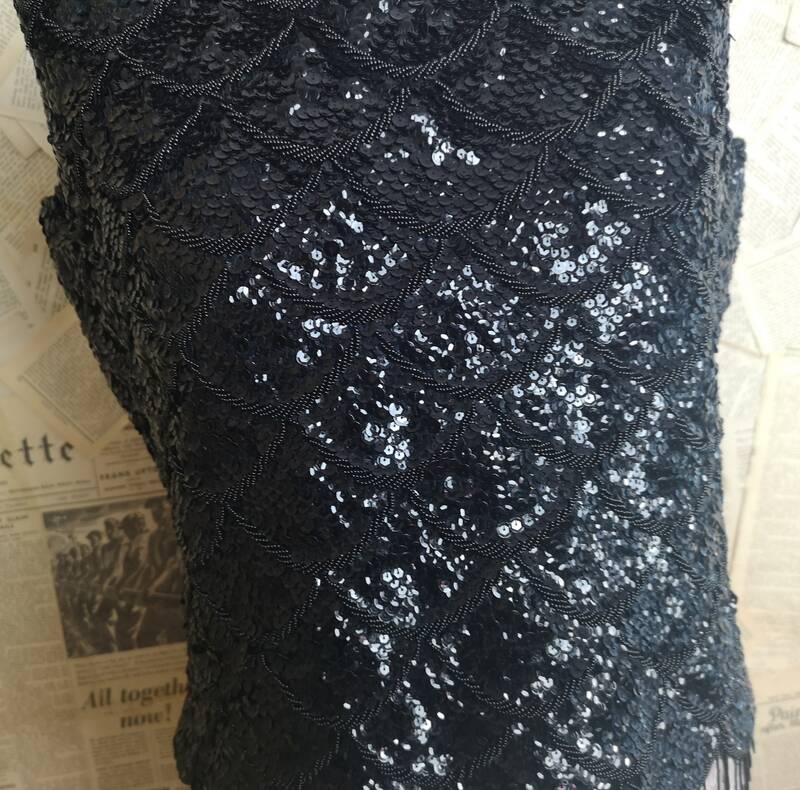 A fantastic showgirl style late 1950's beaded and sequin vest / tank top. 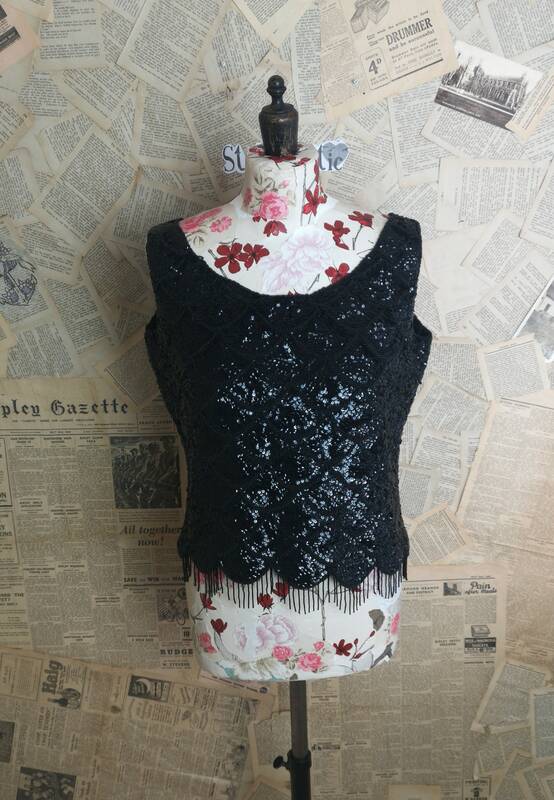 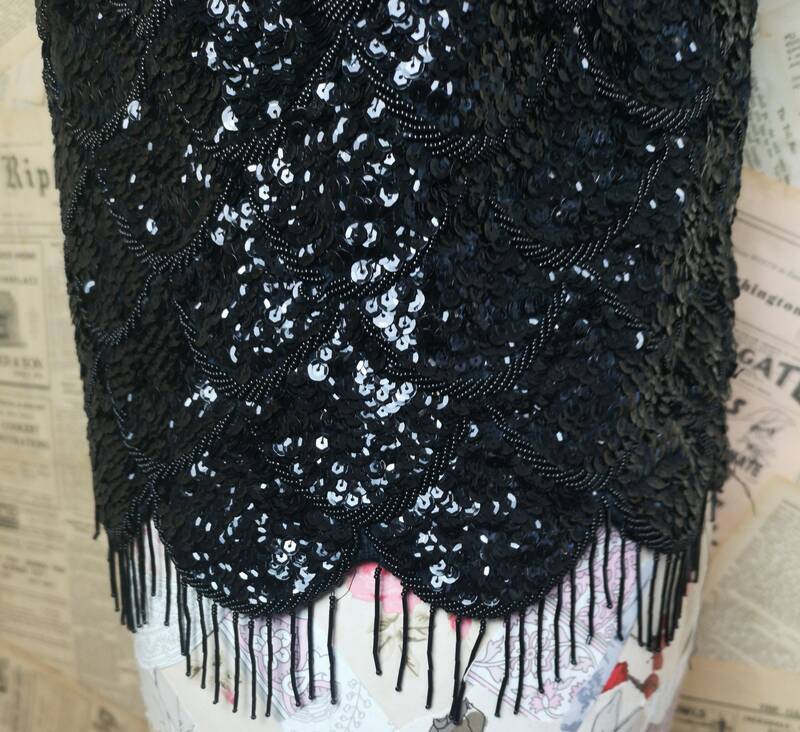 It is a shorter length with a beaded fringing, all in black the beads make up a shell type pattern on the body. 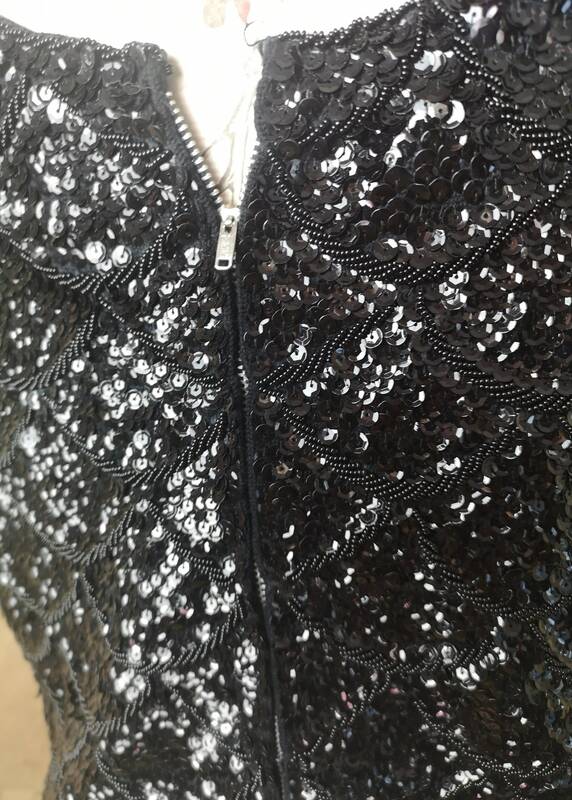 No labels, large metal zip all the way through the back, lined in a black satin fabric. 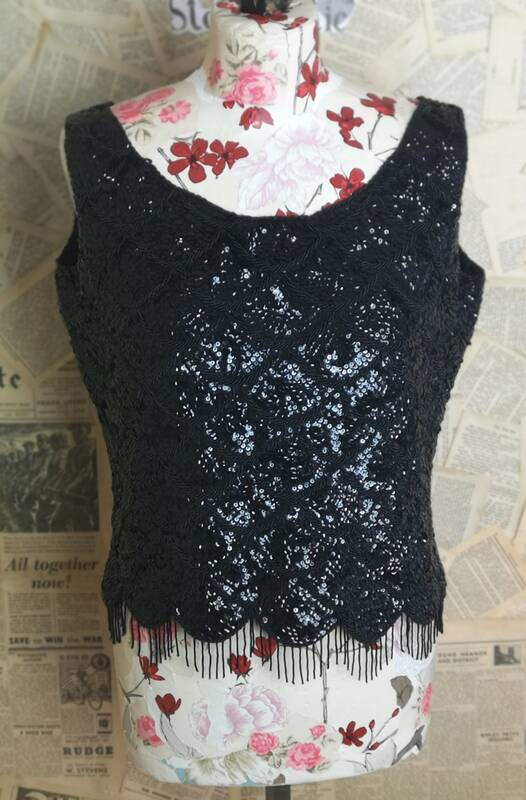 Condition is very good, I can't find any flaws it looks hardly worn.